Hi. My name is Lori and I am a danceaholic. But not all addictions are bad right? Ok. Before I get in trouble with a wide range of mental health professionals, medical experts, scientists and the good people of AA, (really though, are more than three people I know reading this? haa!) don’t hate me because I speak nonsense. There. Done. I did it. I disclaimed. I am NOT promoting addiction. 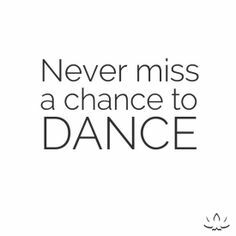 Well… except for maybe when it comes to dancing. Seriously though, even an actual addiction to exercise can be dangerous, BUT, exercise CAN be addictive! There is a whole sciency process involved with chemicals or hormones or something that your body releases during or after exercise. It is released into your system and…I don’t want to get all scientific and technical…I couldn’t even if I tried anyway. I don’t really concern myself with the inner workings of my body. I prefer to focus on the outer activities if you don’t mind. So, basically, you get high from exercise. It’s true. For real. Let’s say that it is your body’s way of thanking you for treating it so well. It is a reward and it is incentive. Once you get going you will want to feel the high again so you will keep coming back for more. Like all addictions it is a “the more you have, the more you want” kind of thing. You see! It is a good addiction to have. Ladies and gentleman (all three of you) I have discovered the one addiction in the universe that we should all try to have! The dancified addiction. Become a danceaholic.